This piece is unbelievably striking! 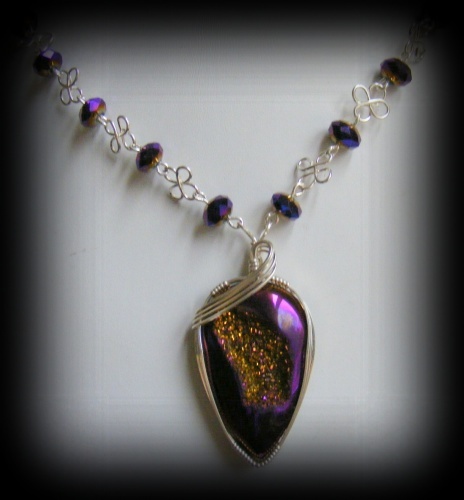 Its truly one of a kind, with its gorgeous titanium druzy gemstone focal of deep purple with a center of glittery gold crystals, this piece is embellished with a minimalist design of a sterling silver swoop. The necklace part has exact matching crystals and interlocked with handmade sterling silver clover like designed pieces. Has a beautiful sterling silver hook clasp. Piece measures 20" long and comes with matching earrings.